In June, Hadrosaur Productions published A KEPLER’S DOZEN: Thirteen Stories About Distant Worlds That Really Exist, a science fiction anthology co-edited by Steve B. Howell and David Lee Summers. In this second of two interviews, I talk to co-editor Steve B. Howell about the anthology and about the actual Kepler Mission. 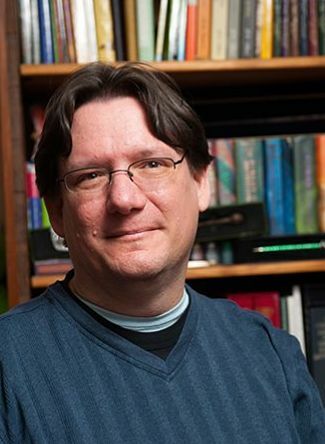 Dr. Steve B. Howell is currently the project scientist for the NASA Kepler Space telescope. Kepler was launched in 2009 with a goal to discover planets orbiting other stars – exoplanets – using the transit technique. Dr. Howell is a highly distinguished astronomer having worked in the field for over 25 years. He has been a university professor, built instruments for the NASA Space Shuttle, worked as a scientist at the Kitt Peak National Observatory, and now is the science head for NASA’s most scientifically and publicly visible mission, Kepler. He is the author of over 600 scientific publications, numerous popular and technical articles, and has written and edited 8 books on astronomy and astronomical instrumentation. Dr. Howell is highly involved with informal and formal scientific education for kids to adults and as an entertaining speaker, he is often asked to talk as various functions both professionally and publically. 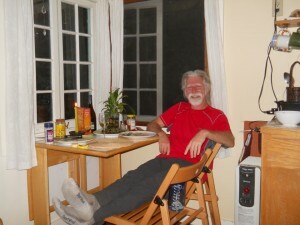 He currently lives in Redwood City, CA where he loves to hike, prepare gourmet meals, and play blues music. ANTHONY: What is your current role with the Kepler mission? STEVE: I am the Project Scientist for the Kepler mission. As project scientist, it is my job to get the most science out of the Kepler mission. The job is a sort of overseer of the science for the entire mission. The work includes science for both exoplanets and work on stars themselves. Stellar astrophysics using Kepler data, for example, studies of interacting binary stars, pulsating stars, rotations of stars as measured by watching starspots on their surface, has been very exciting as well. I work at such tasks as getting astronomers around the world involved in using the data we have collected for a variety of science purposes and to make sure we get the funding we need from NASA to accomplish our goals. ANTHONY: Can you tell us a little about the original intent and time-span of the mission? STEVE: The mission was designed to determine the frequency of Earth-size planets orbiting stars similar to our sun. The mission life time was originally 3.5 years but was extended to 4 years. ANTHONY: How does the camera function? STEVE: The camera is a 16 million pixel large format array of digital detectors. The array is about 16 inches on a side and consists of 42 separate large charge-coupled detectors. These are similar to the cameras in a cell phone only much, much better quality and tremendously larger. Kepler states at one field of view in the sky all the time. The camera has no shutter so reads out the images constantly. At NASA Ames Research Center, where I work, we use sophisticated software and a supercomputer to search all the data to look for small drops in light from any star that might indicate an exoplanet has passed in front of the star (a transit event). ANTHONY: It seems like there’s the potential for an exorbitant amount of data to be collected. How is that all transferred back to Earth? STEVE: There is indeed a tremendous amount of data collected and sent back to Earth. Once a month, the spacecraft turns to point an antenna toward the earth and we use about 20-24 hours of time to transfer all the data back to the ground. ANTHONY: What’s involved in analyzing the data? I guess I’m asking how you know what’s going on in each of the systems you’re investigating. STEVE: Each star we observe, over 150,000 of them, has its light curve examined in great detail. A light curve is simply a measure of the star brightness over time. We observe each star every 30 minutes and produce a record of that stars brightness every 30 minutes for days to weeks to years. Each measurement is looked at by our software system to see if there is a chance that the star has dimmed just enough and in the correct way to indicate a possible transit by a planet orbiting that star. ANTHONY: How many exo-planets have been identified since the mission started? STEVE: Kepler has found over 3500 exoplanet candidates, of which we believe that 90-90% are certainly real exoplanets. They range in size from about that of our moon to larger than Jupiter. Most are small in the 2-5 earth radius size range. As we examine more of the data, smaller planets, similar to Earth-size, will be discovered and we expect to end up with hundreds of exoplanets near the size of our earth. ANTHONY: There’s a distinct naming convention for stars and planets identified through the mission, correct? STEVE: Yes, it is simple. The first planet we found that we could absolutely confirm as a planet we called Kepler 1b. The next was Kepler 2b and so on. The “b” is used to designate that we are talking about the planet in orbit about a star and not the star itself. So far, we are up to naming over 100 confirmed exoplanets. ANTHONY: One of the things I liked about the format of A Kepler’s Dozen was the introduction to each story, which included hard data on the stars and planets the authors set their stories on or near. How much input did you provide to authors in terms of choosing stars to write about? STEVE: The book had one firm rule – each story had to be about a real Kepler discovered and confirmed exoplanet. The authors were given the details of the planets they choose to write about and had to stay scientifically true to those data in their story. I believe this is the first such science fiction book that uses real exoplanets. ANTHONY: I think that’s correct. Was there any thought of including even more planetary or system data with the stories? STEVE: Each author was free to include whatever data they wished about the planet or planets they chose for their story. Some stories simply name the planet as a destination others use more information to develop the story. STEVE: Well, that story formed in my head soon after David and I agreed to work on this anthology. Kepler 37 was just discovered and we were really busy working on the science paper to announce it. There was a sort of race as to what would come out first – the science paper or the Anthology? The science paper won by 3 weeks. The hard part was the ending. If you read the story you may see that a number of possible endings are possible. I think I choose a rather unusual one, certainly one that fits me well. I tried to integrate a number of favorite topics, persons, and other information into the story using them as spring boards toward the story line. ANTHONY: I identified a bit with several of the characters in the story, the ones who know they are part of something bigger but don’t really understand the science behind the mission. Do you find that’s a normal thing when dealing with missions the size of most NASA projects? ANTHONY: The mission has faced some challenges with the craft’s reaction wheels. How does this impact the mission going forward? STEVE: Indeed! In fact, as of May 2013, just about when our book was released, Kepler lost its second of four reaction wheels. The collection of science data may be finished for the exoplanet part of the mission, but we are exploring ways to revive the reaction wheels and to look at what other science mission the telescope might be able to do. This work in on-going and we should know the answers by end of summer. ANTHONY: What do the reaction wheels do, and what makes them particularly hard to fix? STEVE: Reaction wheels are used to point the Kepler telescope very precisely. This precise pointing allows us to collect very precise photometry, giving us the ability to detect the small (<1%) drop in light from a star as a planet passes in front during a transit. STEVE: Wow! This is tough. I read a lot and on many different topics. I’ll stick to Sci Fi for this answer. My favorite Scifi Book (so far) is The Invisible Man by H. G. Wells (1897) because he used real physics principles and the possibility of what we might be able to do with them to create his “monster”. It was one of my early scifi reads as well and that probably adds to the interest. I think the simplicity of the principle and the human condition story that ensues are good elements to make one think as they read along. You can learn even more about the Mission at NASA’s Kepler Website. You can order print copies of A KEPLER’S DOZEN directly from Hadrosaur Productions, or find the ebooks on Smashwords. And you can read my interview with Steve’s co-editor, David Lee Summers, by clicking on the little link at the bottom of this post that takes you to the previous interview.